I am obsessed with Southern French wines, enchanted with their distinctive personality, versatility and phenomenal value. 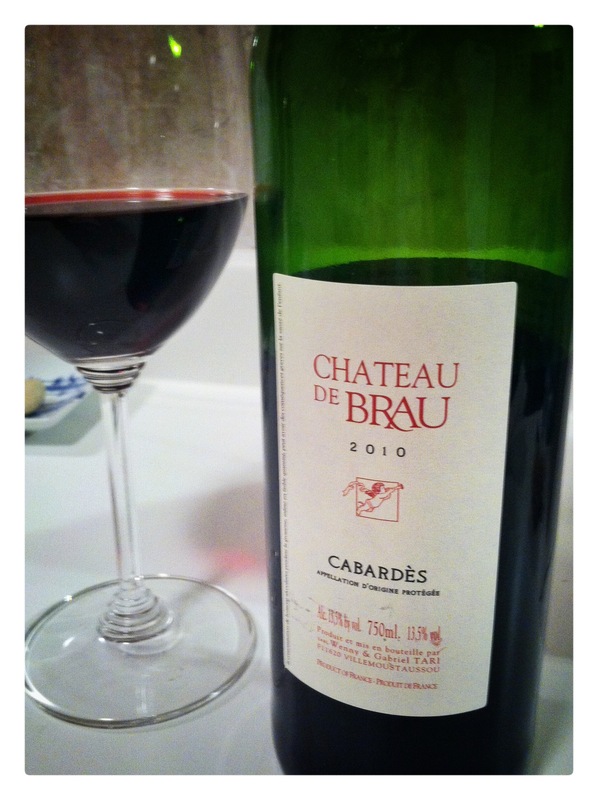 Chateau de Brau is a family estate owned by Gabriel and Wenny Tari. The 40 hectares of vineyards are planted with a mix of Mediterranean, Rhone, Southwest and Bordeaux varieties and are all farmed organically. The Tari’s philosophy is one of hard work and common sense; they plant each variety in the soil it will grow best in, observe and nourish the vines and the environment, and act preventively using simple methods. With an emphasis on pure grape character, the Cuvee Chateau is unoaked and fermented with native yeasts. Dark garnet in colour with aromas of blackberry, caramel and pleasantly funky earth. Dense flavours of blackberry and cherry were joined by traces of earthy, brambly shrubs in the medium body. Spicy green peppercorn, rich vanilla and traces of pine forest comprised the plush finish. Velvety and easy drinking, this is an excellent value and fantastic at the table with a wide variety of dishes.